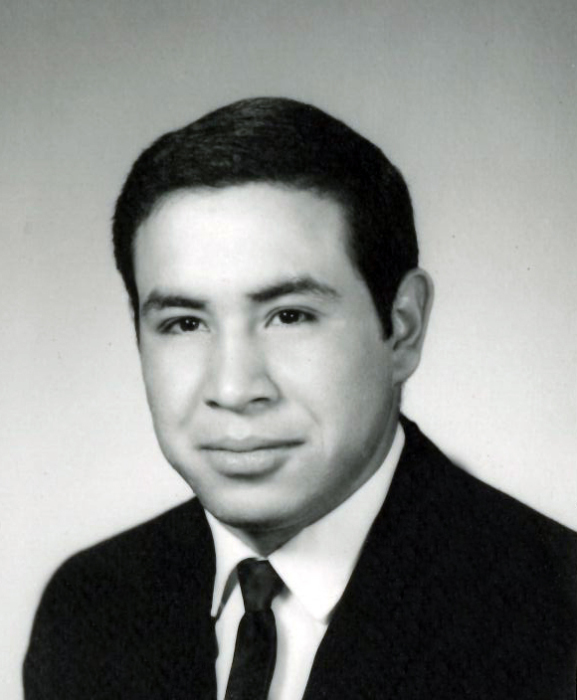 JOSE O. TARANGO, 71, a lifelong resident of Lordsburg passed away Tuesday April 2, 2019 at Sunshine Haven Nursing Home in Lordsburg. Visitation will be Saturday April 6, 2019 at 2 o’clock in the afternoon at St. Joseph’s Catholic Church where a rosary will begin at 2:30 to be led by Alice Ramirez. Mass of Christian Burial will be at 3 o’clock with Fr. Jude Okonkwo, Pastor officiating. Concluding services and interment will follow at Shakespeare Cemetery. Jose was born September 18, 1947 in Lordsburg to Natividad and Antonia Ozeta Tarango. He graduated from Lordsburg High School and over the years held several jobs but mostly was at the Up To Date Grocery where he worked several years. Jose held in high regards the veterans of our United States Military, especially those of the Vietnam Era. He made many donations and supported our troops whenever he could. He is survived by his brother, Santiago O. Tarango of Lordsburg, sister Margaret Rabb of Las Cruces; and numerous nieces and nephews. Pallbearers will be Nino Madero, John Aquino, Alonzo Madero, Tony Isham, Manuel Cortez and Christopher Tarango. Honorary bearers are Johnny Dallas, Dennis Estrada, Rudy “Boo Boo” Lara, Daniel Castillo and Santiago Tarango Jr.